If your child has flat head syndrome, you might be wondering what to do about it and how to help your little one. 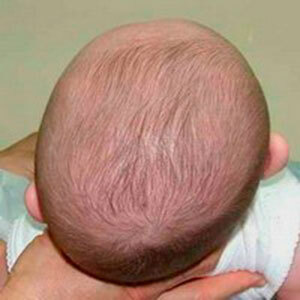 Let’s find out more about the condition and the various gentle, conservative treatment options available for your baby. Flat head syndrome is a name commonly used to refer to brachycephaly and plagiocephaly- both conditions can also be referred to as “positional skull deformity”. 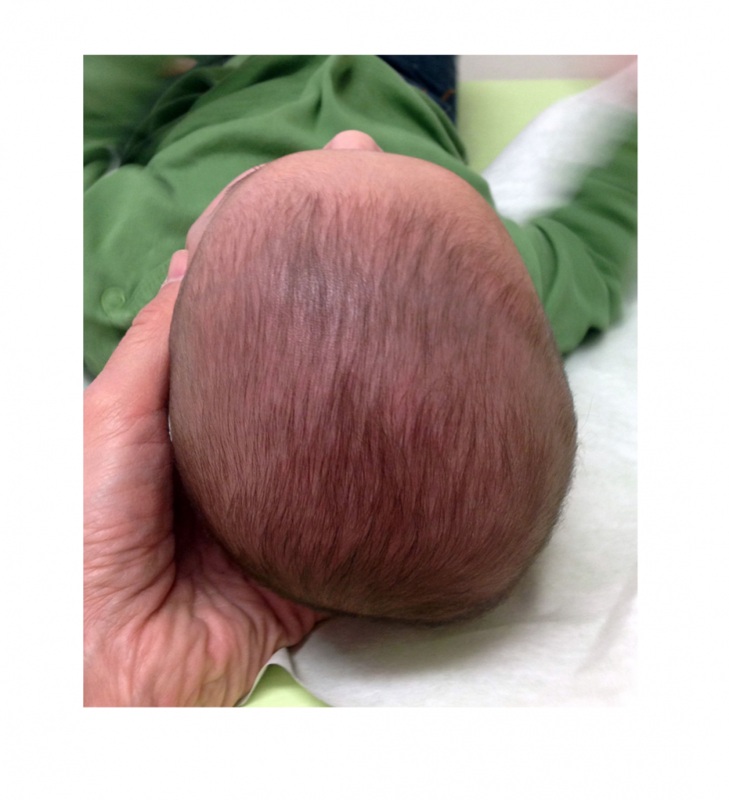 Plagiocephaly is where one side of the back of the head becomes flattened, which may result in the front of the head protruding on the opposite side, and the ears positioned asymmetrically. Brachycephaly is symmetric flattening of the back of the head, which can cause the ears to appear prominent and the head appear wide. There has been a significant increase in the number of babies presenting with flat head syndrome possibly due to the introduction of the “Back to Sleep” (now known as “Safe to Sleep”) positioning recommendations aimed at reducing the risk of Sudden Infant Death Syndrome. Since the early 1990’s parents have been advised to let babies sleep on their backs, and whilst this has been successful in reducing the number of cot deaths, it has lead to an increase in the number of babies with deformational plagiocephaly and brachycephaly. It can happen during your pregnancy with uterine constraint (when your baby doesn’t have enough room in the womb- especially common in the case of multiple births such as twins) or as a result of birth injury from forceps or vacuum assisted delivery. More commonly, it occurs after birth and is associated with congenital torticollis (or ‘wryneck’), abnormalities of the bones in the spine, neurological impairment (problems affecting the nervous system) or forced sleeping position. 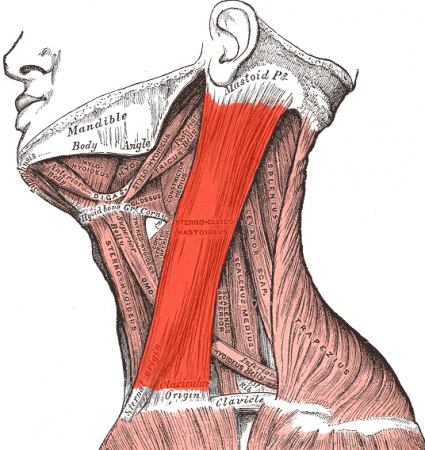 front of the neck, which can occur during difficult deliveries. This muscle trauma the baby’s head into an awkward position, thus exacerbating (or in fact causing) the skull deformity. Wryneck may also cause issues with breastfeeding, as the baby is unable to comfortably turn the head to latch properly- if your baby can’t latch to one side or can’t turn their head to one side, they may have torticollis. Premature babies are at a higher risk of developing skull deformities as the cranial bones become harder and stronger during the last 10 weeks of pregnancy. Premies may also spend longer periods of time in neonatal ICU on a respirator to help develop their lungs, as a result their heads are maintained in a fixed position. More commonly, babies are born with a normal head shape which gradually becomes flattened or altered as a result of the position they lie in. The child or baby may have reduced neck movement and are unable to rotate their neck themselves away from the flattened side of the occiput. Why does it matter if my baby has a flat head? It’s not just about appearance. Most advice seems to be that once baby’s hair grows out, skull deformities will be “hardly noticeable.” There is a growing body of research which suggests that children with plagiocephaly or brachycephaly need to be monitored for developmental delays or deficits. One study states that “Infants with deformational plagiocephaly comprise a high-risk group for developmental difficulties presenting as subtle problems of cerebral dysfunction during the school-age years.” Another study found that children with plagiocephaly were more likely to require special education services in school than their non-affected siblings (34.9% vs. 6.6%, respectively). The services they required included speech therapy, occupational therapy and physical therapy. Whilst it is important to note that these findings do not imply that developmental plagiocephaly causes developmental problems, it may instead serve as a marker for developmental risk. In addition, skull deformities may contribute to headaches, migraines, painful teething, jaw and dental problems. It is therefore recommended that treatment takes place as early as possible, in order to restore normal head shape. One of the most commonly reported concerns from parents of children with flat head syndrome is their physical appearance and the possibility that he or she will be teased, embarrassed or otherwise stigmatised because of their condition. Parents often first notice the condition through the appearance of uneven bald spots on the back of their little one’s head. There are numerous treatment options available, and if you are looking for gentle, non-invasive options for your little one there are several to consider. Hands-on treatment and exercises will h elp to alleviate the strain to the sternocleidomastoid muscle causing the torticollis and encourage normal neck movement in addition to helping to correct the skull deformation. Monitoring for neurodevelopment problems helps to ensure your baby achieves all their developmental milestones. Products are available which can be helpful , including pillows for the cot (most are not recommended for use when baby is unsupervised) and car seat, beanie caps, slings and wraps to help reduce the amount of time baby spends on their back. Cranial molding headbands or helmets are what is often recommended. Helmets can be expensive, uncomfortable (they need to be worn 23 out of 24 hours in the day) and can cause excessive sweating and skin problems due to pressure or friction spots. Fortunately the designs for these are being improved to help make them more comfortable for little one. How can I help my baby at home? Tummy time is of the utmost importance. This helps develop shoulder girdle strength which is important for motor milestones such as crawling and eventually walking. In addition, it reduces the time spent lying on their back. Repositioning: This is best started as early as possible and is most effective with babies under four months of age. Alternating the position your baby lies in at night can also help. Babies tend to prefer to face outward into the room, and being creatures of habit we may be tempted to always place them the same end of the crib. As such, routinely changing this is important. Place cot toys and mobiles on the opposite side to the ‘flat’ side to encourage your baby to spend time on the side that is not flattened. Position your little on the opposite end of the changing table when changing nappies. This helps in the same way altering their position in bed does, by encouraging them to look to the opposite side whilst being changed. Ask your practitioner to show you exercises to help baby at home, such as gentle neck stretches for the sternocleidomastoid for babies with torticollis. Cabrera-Martos et al. (2016) Effects of manual therapy on treatment duration and motor development in infants with severe nonsynostotic plagiocephaly: a randomised controlled pilot study. Child’s Nervous System 32 (11) 2211-2217. Collett et al (2012) Neurodevelopmental implications of “deformational” plagiocephaly. J Dev Behave Pediatr. 26 (5) 379-389. Knight, Sarah J., et al. “Early neurodevelopment in infants with deformational plagiocephaly.” Journal of Craniofacial Surgery 24.4 (2013): 1225-1228. Korpilahti, Pirjo, Pia Saarinen, and Jyri Hukki. “Deficient language acquisition in children with single suture craniosynostosis and deformational posterior plagiocephaly.” Child’s Nervous System 28.3 (2012): 419-425. Schertz, Mitchell, Luba Zuk, and Dido Green. “Long-term neurodevelopmental follow-up of children with congenital muscular torticollis.” Journal of child neurology 28.10 (2013): 1215-1221.